There’s an abundance of advice online on how to write great marketing copy. Bloggers analyse the topic from multiple angles and provide bulletproof rules on how to optimize your message. However, we regularly encounter marketing content which lacks creative flair and is merely a pale translation of the original. Can a powerful message be translated AND retain the same nuances and impact as the original? Das Auto or Back from the Grave? As there is no clear-cut answer to this question, the subject needs more investigation. 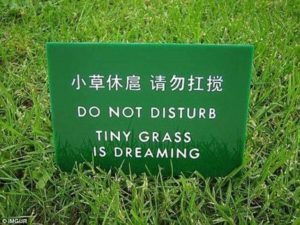 There are cases where a straight translation can be effective. In other instances, the original message has become unique and so recognizable that no translation is necessary e.g. I’m lovin’ it, Das Auto or Vorsprung Durch Technik, the latter achieving the status of a trademark. There are also many examples where translation is a straight road to failure. Everyone has at some point come against stories of problematic translations, such as Pepsi’s “Pepsi Brings You Back to Life” translated for the Chinese market as “Pepsi Brings You Back from the Grave”. Your pitch – who is your target and what do you want to achieve with your content? Before you outsource translation of any marketing text, be sure that you know the answer to this question. Presumably, your original text was written with a particular audience in mind, and had a purpose to fulfil. It was carefully considered, researched, written, re-written, revised, proofread and improved by numerous individuals before you were satisfied. You probably now need to translate the material because you want to attract a wider audience beyond your home market. But how do these markets differ from your domestic market? Have you researched the target market customer behaviour? Do you know the buyers of your product or service, what they are looking for, what arguments are likely to convince them? Answering these questions is paramount to determining how to approach the preparation of your foreign marketing material. Translating a brochure, leaflet or website is certainly cheaper than creating new copy for a particular market, but is the cheaper option always sufficient? For any marketing copy to be attractive it needs to read well to a native speaker and resonate on an emotional level. This does not only mean that the grammar and register need to be correct (that is an absolute minimum) but that the writer understands the market and “speaks the same language”, culturally. A mundane example of this is Christmas or Easter cards. In Poland there is a tendency towards creativity, making your wishes look more like a psalm: unique, personalised, with a Christian reference and using words like “Alleluia!”; in contrast to more multi-cultural English-speaking countries, especially the US, where the message is typically short and religiously neutral: “Happy Holidays!”. In short, to render the same meaning and to evoke similar emotions, or avoid offence, different languages require different phraseology. Therefore, be prepared to allow the translator or translation agency some freedom. If you do not want to leave the decision on the scope of the copy in the target language to the translators, prepare a brief before outsourcing the translation assignment. Your creative people should be encouraged to ensure you’re on the same page with your language service provider. Your readers should not be aware they are reading a translation so the copy should have the feel of a text that’s been composed in their language. We don’t pretend to be a marketing agency, but that does not mean marketing translation is expendable. Thinking over the two issues above, you may conclude that it would be better to hire a local marketing agency and pay them for a new brief rather than ordering a translation that does not read well. That’s not necessarily the case. Consider the problems you might have if your team does not speak the target language to a degree that allows them arrive at a clear brief for the assignment. Often companies order a direct translation of their original material into the target language from companies like Lacrosse Experts in Translation as part of the brief they give to the marketing firms. Hence the translation is the starting point of the creative process in a new market, as it will ensure the marketing agencies understand which features of your product or service you consider important. This way the agencies are better able to propose a strategy and/or content that will be consistent with your brand, image and the cornerstones of your domestic marketing. 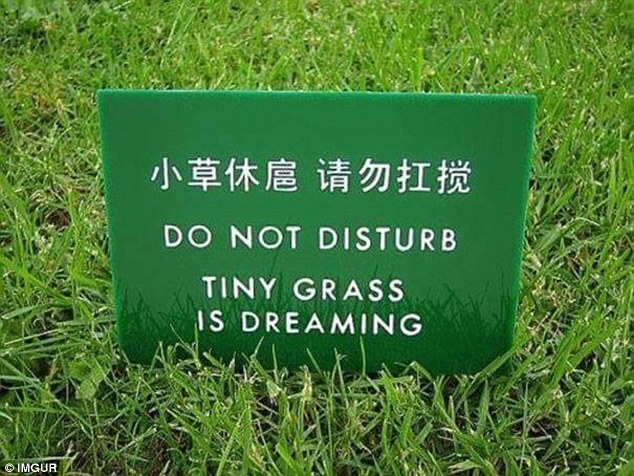 Remember, though, that in such a case your instructions to the translation agency will differ from those for preparing a marketing translation for publication. In many cases the marketing agency you work with will anyway outsource the translation to language service providers. If that is the case, make sure that they are also going to do a local market review of the translation and do not simply hand the project over blindly. It is always a good idea to ask the provider for two or three samples of a marketing translation from different translators. This will increase the cost but will ensure you are going to get a text which best matches your needs and someone you trust has to check this. Uncategorized marketing, marketing translation, native speaker, tłumaczenie kreatywne, tłumaczenie marketingowe, transkreacja. permalink.